The Brush Runabout is our featured classic motor car this month. As with most of the early automobile manufacturers, The Brush Motor Company had its home in Detroit, Michigan. 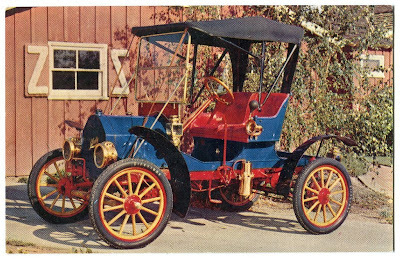 Alson Partridge Brush, its founder, was a very inventive fellow and to make his little runabout stand out from the other manufacturers "runabout" models of the era he added many clever new features to his Brush mobile, such as gas-powered headlamps, convientent tooting horn and solid oak and maple frames. Alson P. Brush had designed the first Oakland motorcar ( a forerunner of Pontiac ) and unique in his design, was that the motor was cranked counter-clockwise rather than clockwise..to decrease injury to the driver if the hand-crank kicked back. The Brush Runabout was powered by a large single cylinder water-cooled engine. 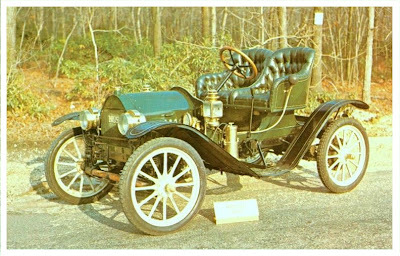 Early models were 6 hp but this 1912 model was 10hp and capable of speeds up to 30 mph ( whoa nellie! ). Several different variation of the runabout were marketed over time...the B, BC, D, E, F, M and Liberty, as well as several trucks used as US Mail delivery vehicles. 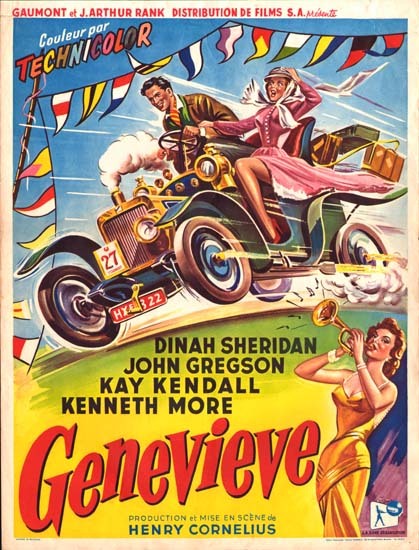 Although, it was an inexpensive automobile ( $350 sale price ) and was quite reliable for its time, The Brush Runabout did not have a very long existance. The company was founded in 1906, but only six short years later it went through an unsuccessful merger with the United Motor Car Company and floundered. About 10,000 Brush Runabouts were manufactured in total. You'll have to runabout to find one today though.